evaluate your brand’s positioning to help you create an actionable strategy to achieve your business objectives. The purpose of the S.W.A.G. (Stories. Works. Abilities. Goals.) 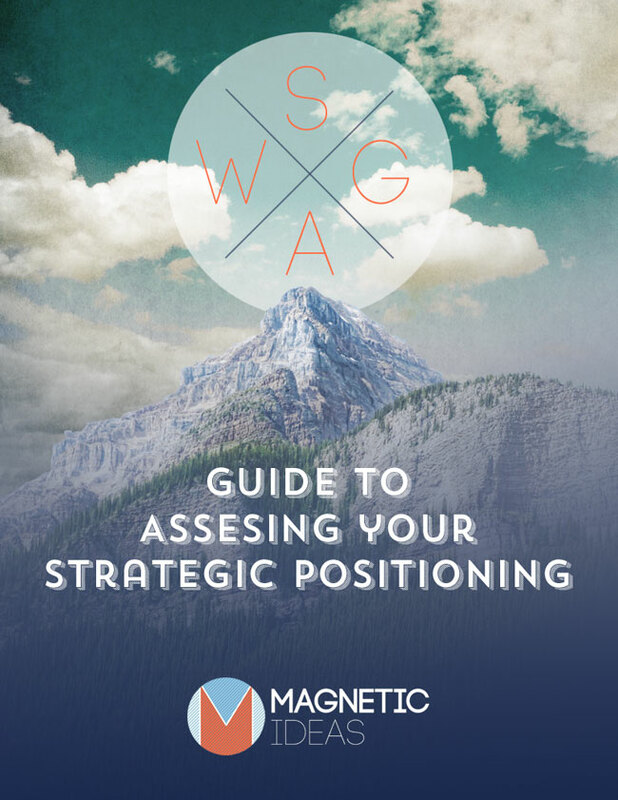 Strategic Assessment Guide is to evaluate your brand’s positioning and help you create an actionable strategy to achieve your business objectives. Similar to a traditional S.W.O.T., which organizations have used for years, the S.W.A.G. dives into internal and external factors that are critical for successful product launches, marketing programs or sales initiatives. What story do others tell about you? This is what connects you to others in your niche. Is it consistent, authentic, and true? Your story is the only one like it in the world. Make sure it is powerful and memorable. Choose the paths that are most productive and give you a return gain. Working hard helps you find opportunities, and working smart helps you capitalize on them. These are the areas you are exceptional. Identify what you do better than anyone else. You have talents that set you apart. Play to these strengths in your pursuit. The best strategies and tactics are useless without goals. Once you have determined your goals, prioritize them. This will help you focus on what is most important to accomplish. The practice of performing a S.W.A.G. Assessment will give you clarity and awareness for your brand. We’ve found performing a S.W.A.G. Assessment each quarter will keep your business in tune and on track.